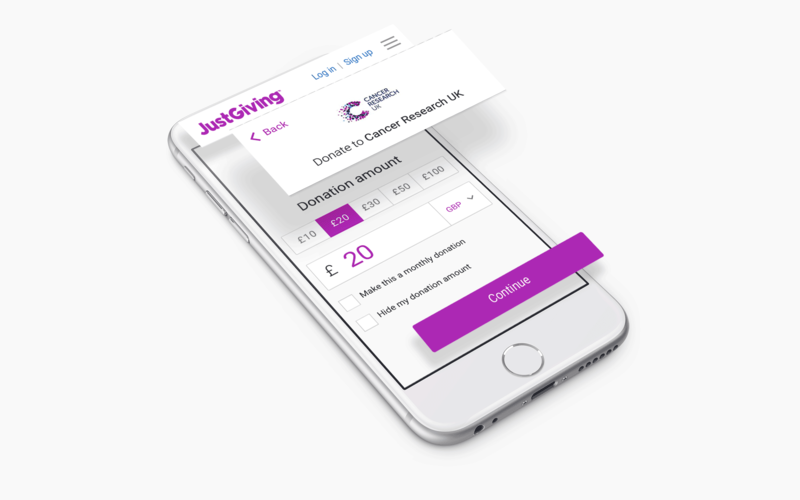 JustGiving has helped 15,000 charities raise over $4bn in the last 14 years. 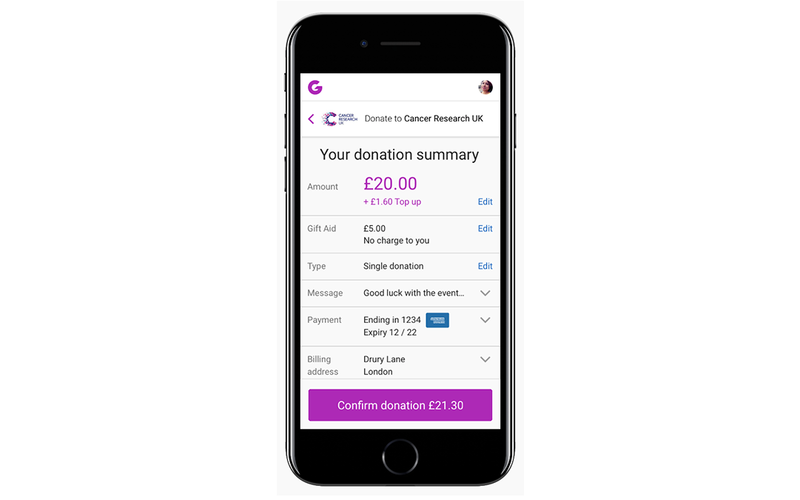 However, the donation process, or check-out, was showing its age and wasn't mobile friendly. Considering that 29,000 people give to charities, causes and individuals every day, there was serious potential to boost revenue through this funnel. 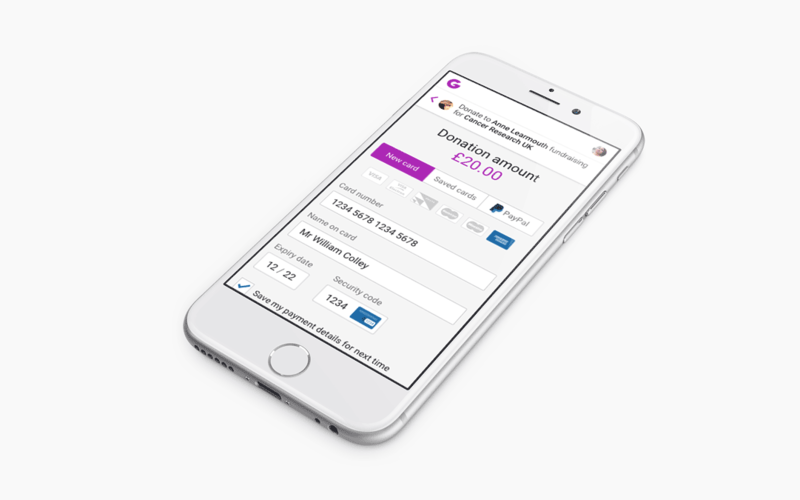 A responsive, modular, flexible system that works across all JustGiving products. Header modules vary depending on where you are in the flow and which product you're on. 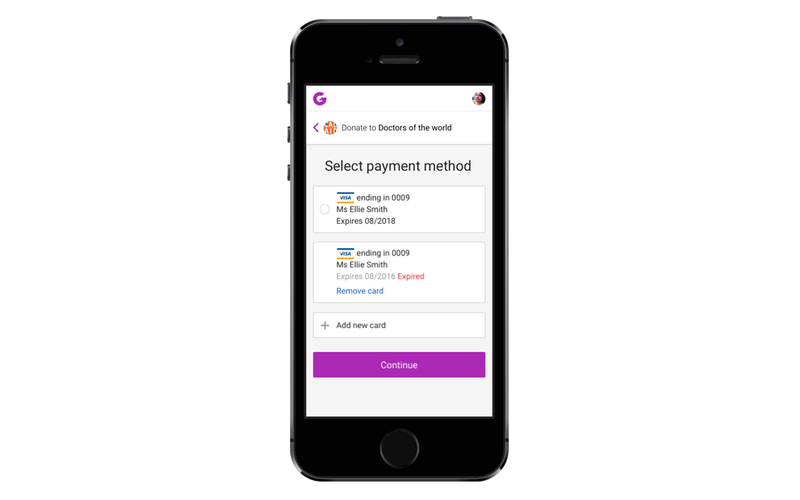 Adding and removing payment cards from the mobile flow. Framer to the rescue! New markets mean more card types. Paying online is important for so many reasons, and giving users the right feedback is essential. Trying to communicate this kind of choreography to our awesome Front-end devs would have cost a small fortune. Enter Framer prototype. © 2018 Will Colley. All rights reserved.